Back in Spring 1995, ‘Veteran Athletics’ featured an article, written by Alastair Aitken, entitled ‘Hugh Rankin in Top Form’. Rankin, a hospital porter in Kilmarnock, has other results to be proud of. In 1990, when he reached 55, he set a World Indoors M55 record of 9 minutes 37 seconds for the 3000 metres at the Kelvin Hall. The same year he did the M55 double in the prestigious Bruges Veterans Grand Prix, winning the 10k in 34.29 and the 25k in 1.31.36. He also gained representative honours when selected for Scotland in the Home Countries Cross Country International at Luton. Hugh, who has only ever belonged to one club, joined Kilmarnock Harriers about forty years ago. As a teenager, cycling was his main interest. Called up for National Service, he took his bicycle with him but, when posted to Benghazi, he had to leave it behind so took up running. Although he produced some good performances in his younger days, he did not find the time to train consistently, and so never achieved his true potential. With a family of five children to raise, training became haphazard. ‘I could have trained harder and I should have done. It was just one of those things,’ he said. Rankin did get chosen for a Scottish Select team at this time but could not run because of illness. He has been more successful as a veteran, although an operation on his knee at the age of 50 held him back for some time. In recent years he has found more time to train and is now running up to 70 miles per week. This, and the fact that he did not train hard when young, he gives as the reasons for his successes in recent years. ‘I did not burn myself out in my younger days. You cannot run high mileages all your life. The younger runners, who are covering 100 miles a week now, will not be performing well when they reach middle age,’ he declared. Hugh Rankin was born on the 18th of December 1934. In 1956 he took part in the Scottish Senior National Cross Country Championships; and soon became Kilmarnock’s first finisher in the annual event. He was in the top fifty several times, including a good 33rd position in 1964. 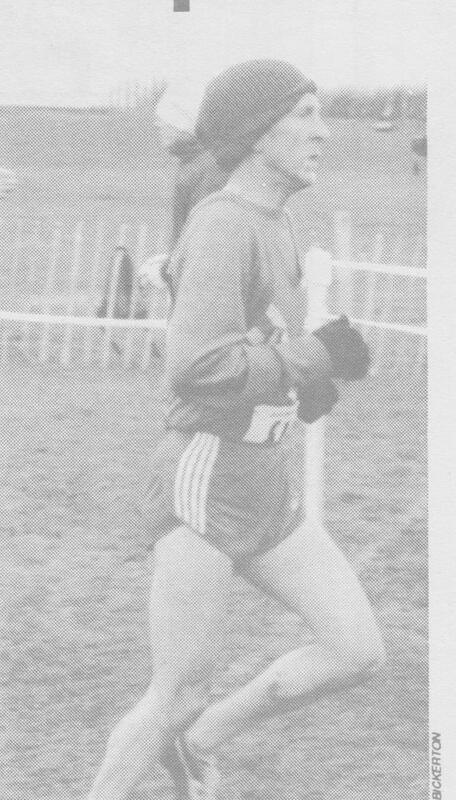 In the Scottish Masters Cross Country Championships, Hugh won the M55 title in both 1990 and 1992. When, in 1990, Johnny Walker Kilmarnock Harriers finally took part in the marvellous Edinburgh to Glasgow Road Relay, Hugh, aged 55, was one of their team. A truly outstanding performance for this fine athlete was when he triumphed in the annual British and Irish Masters Cross Country International Championships at Dublin in 1995, by winning the M60 race. In 2009, aged 74, he ran the fast time of 44.16 to win his age group in the SVHC 10k. 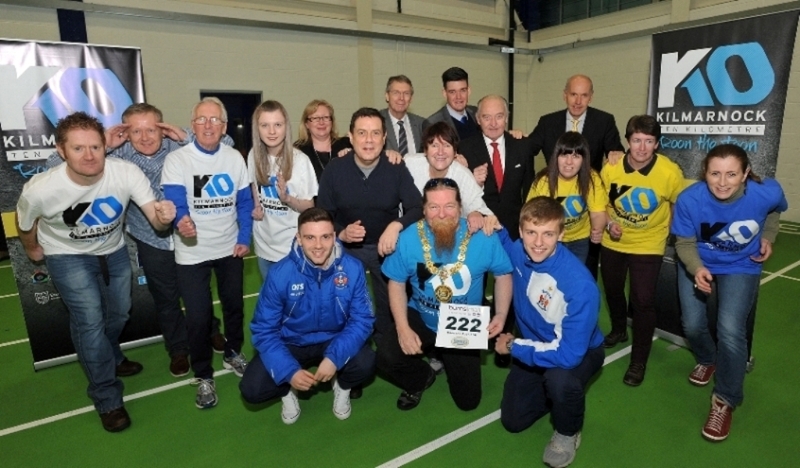 In 2014, Scottish Athletics magazine ‘PB’ had an article on Kilmarnock Harriers, saying that the club “paid tribute to Hugh Rankin – one of their oldest, most long-serving and successful members, in a double celebration to mark his 80th birthday and his 60th year as a member. On 30th June, 2014, the Queen’s Baton Relay before the Glasgow Commonwealth Games reached Ayrshire Athletics Arena. Team Scotland coach Chick Hamilton had the honour of carrying the baton, before passing it to Kilmarnock Harrier stalwart Hugh Rankin. His old team-mate from the 1950s, Jim Young, was also a baton bearer that day.